There’s still snow on the ground here in Montreal, so sadly it’s not BBQ weather just yet, which means that we’re still braising our meat! So once again we’re taking out the Dutch oven. 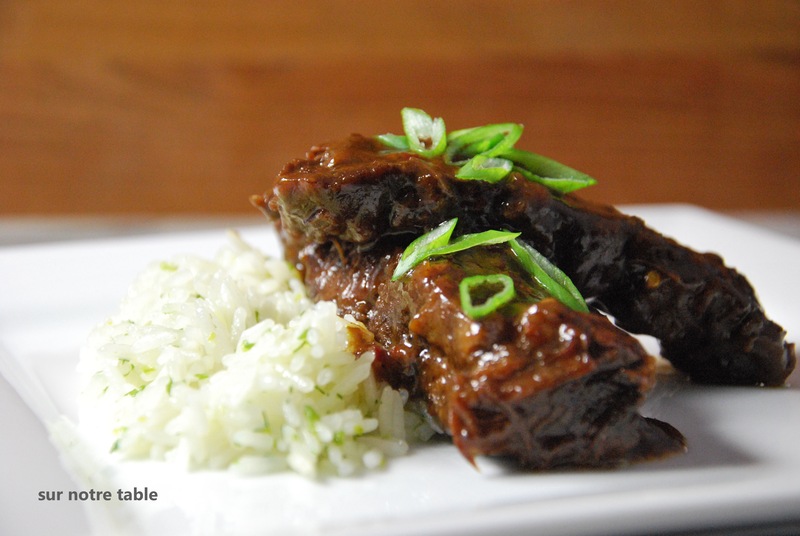 This time, the short ribs are braised Asian-style. It’s got a little spice and a little sweetness and that combination makes this one extremely popular amongst our friends who have sampled them. And we know this because there’s never any leftovers as everyone has asked for seconds and the plates are wiped clean! This is another great option for a dinner party, as with all braised meats, they are even better tasting prepared a day ahead. It’s also an easy prep, only requires one pot, in this case, a Dutch oven. 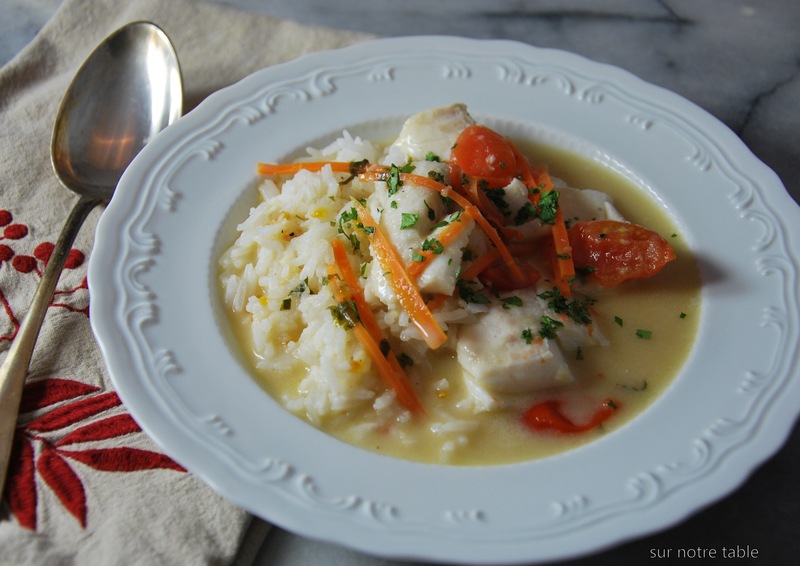 These can simply be served on a bed of rice and a bold red wine will go extraordinarily well. Preheat oven to 350oF (180oC). 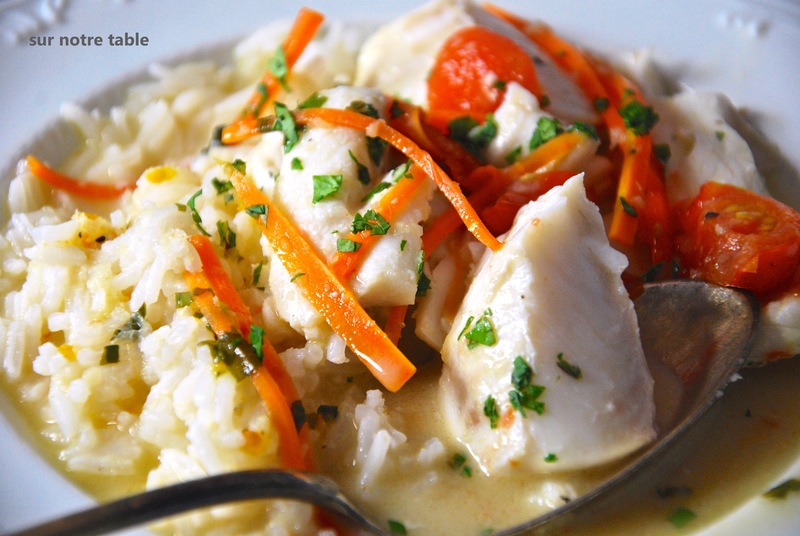 On a plate, stir together flour, 1 teaspoon of salt and 1 teaspoon of pepper. Dry the short ribs with a paper towel and coat them all with the seasoned flour, shaking off any excess. Heat the canola oil in the Dutch oven over medium-high heat. Then cook the short ribs in the oil, turning occasionally, until browned for about 15 minutes. Remove ribs from the Dutch oven and set aside. In the Dutch oven, add the garlic, green onions, ginger, red pepper flakes and lemongrass and sauté for about 1 minutes, until fragrant. Pour in beef broth to deglaze the bottom of the pan with a wooden spoon. Then stir in the soy sauce, hoisin sauce, rice vinegar, brown sugar, and chile-garlic sauce. Bring to a boil. Cover Dutch oven and transfer to oven and cook until the ribs are tender, between 2 hours and 2 ½ hours. When ribs are ready, place Dutch oven on stove and remove ribs and place aside. Then remove bones and lemongrass from pan and discard. Separate fat from sauce, using a fat separator and return sauce and ribs to Dutch oven. If you happen to only serve them the next day you can skip the fat separator and just refrigerate them and before reheating the short ribs just remove the congealed fat from surface of the short ribs. 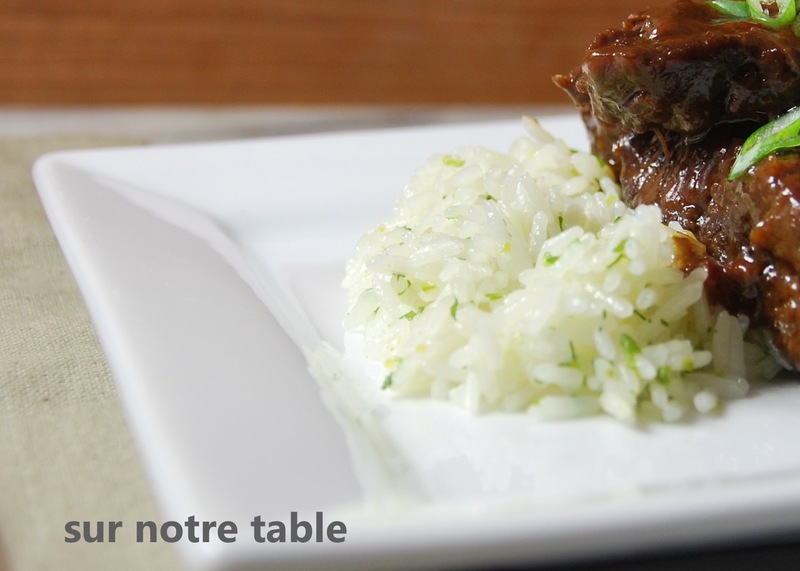 When ready to serve, just simply place a few ribs over white rice and spoon sauce over ribs and rice. You can also add on top some finely chopped green onions for garnish. 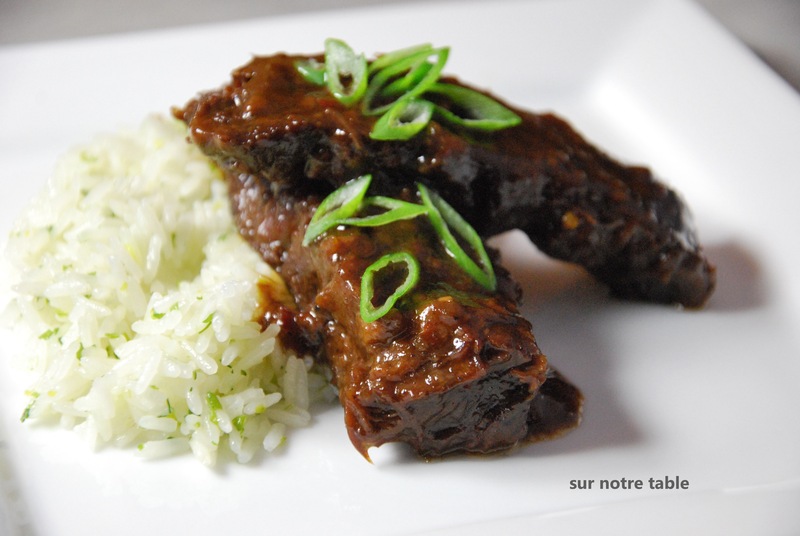 In the above photos we have served the asian short ribs with green onion rice, which goes particularly well with the ribs. This is a super easy rice which can be prepared in the microwave oven, yep, the microwave oven! The recipe for the green onion rice will be posted following this post.